No "Y" seams - clever applique method! Only 3 pieces per flower - not the 19 pieces normally required! 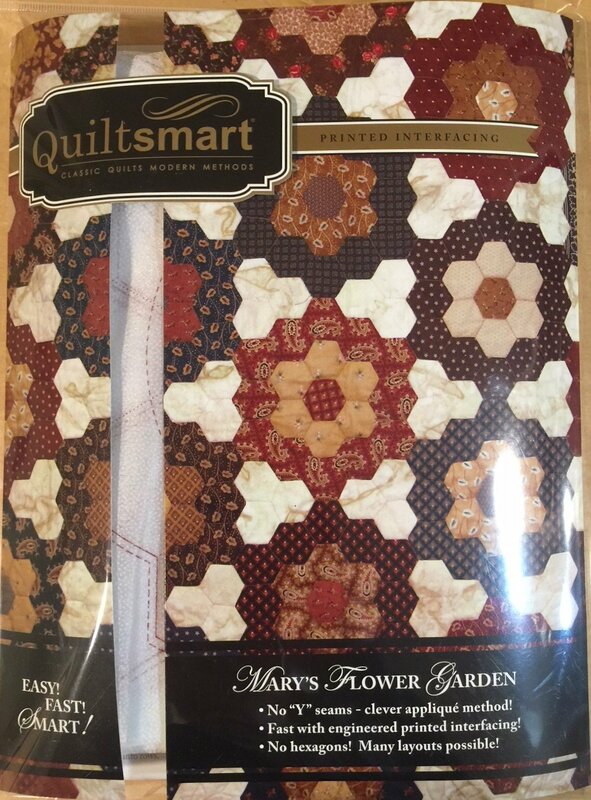 Beautiful Flower Garden quilts in no time at all! Includes 8 panels of printed interfacing and complete instructions. Yardage and cutting chart give information for table runner, baby, and twin sizes. Design pages and hex paper template for spacing included. Check out the pattern back for a quick review. FIRST TIME USERS - Purchase the "Pack" first which includes instructions and interfacing! You can purchase the "Instructions Only" and panels individually if you wish to make more quilts or a smaller project. NOTE: Our Honeycomb Hex pattern is the same concept, but you decide what shapes you want. It is also a bit smaller - 1.75 across.